Oh my God, what a beautiful ring! I'm totally in love with it! Perfect size urchin for the ring, love the flower pattern, very adorable! Absolutely beautiful! The tiny urchin is perfect on the flower! Love the combination and your ring is absolutely stunning! Beautiful work Estella! 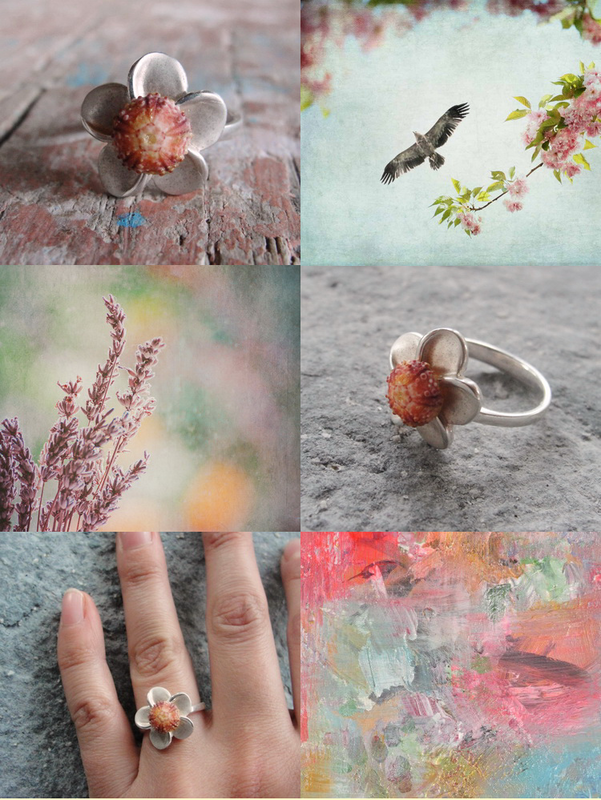 Awesome ring and beautiful moodboard! As always! Such a beautiful ring! That sea urchin looks gorgeous as a flower!